Republic of Albania is a sovereign state, located in the southwestern part of the Balkan Peninsula, in Southeastern Europe. It is bordered by Montenegro and Kosovo to the northwest, Republic of Macedonia to the east and Greece to the south and southeast. It has a coastline on the northern shore of the Mediterranean Sea, the Adriatic Sea to the west and the Ionian Sea to the southwest where the Albanian Riviera begins. This country is less than 72 km away from Italy, across the Strait of Otranto which connects the Adriatic Sea to the Ionian Sea. With an area of 28.748 km², Albania counts around 3.000.000 inhabitants. The largest city and the capital of the country is Tirana, representing the political, educational, cultural, economic and administrative center. 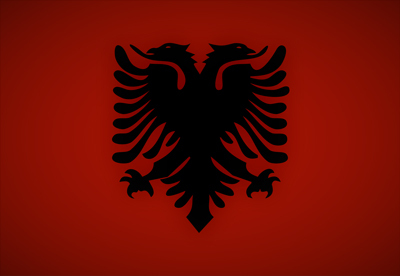 Albania is a member of several international organizations, among them is NATO since 2009 and it is an official candidate for membership in the EU since 2014. The Albanian language is the official language of the country, but the Albanians are considered a polyglot nation. Due to the immigration and past colonialism, Italian, Greek, English and French are the most widely spoken foreign languages. Historically Islam has been the majority religion of Albania. During the communist era of Enver Hoxha, Albania was proclaimed to be the world’s first atheist state. Today, in the total population, the percentage of Muslims remains stable at roughly 65% to 70%, including Sunni Islam and members of Bektashi School. Since 1925, Albania has been considered the world center of the Bektashi School. About 20% of the population are members of the Orthodox Autocephalous Church of Albania and about 10% are Roman Catholic. There are few small Protestant groups. The official currency of Albania is called “lek”. Albania used to be closed for the rest of the world during the Communist period of Enver Hoxha. Today, it is a developing country and contains great culture. A cradle of important history, a “country of the bunkers”, as well as a beautiful natural beauty and welcoming people, Albania remains a country that deserves to be seen and explored.